Chelsea striker Alvaro Morata could be on his way back to Italy, after reportedly consenting to a move to the San Siro with AC Milan. The Spanish forward joined the Blues from Juventus last summer as a replacement in the team for Diego Costa but struggled to make an impact in the Premier League despite a promising start. Following a disappointing year at the club during which he only managed to score 11 league goals, Morata was omitted from the Spain World Cup squad and he now looks set to leave London. According to respected Sky Sport Italy journalist Gianluca Di Marzio, the 25-year-old has said yes to a move to Milan, but such a switch could yet prove problematic given that it’s added that the Spanish star is said to be valued at around €65m-70m by the Blues. 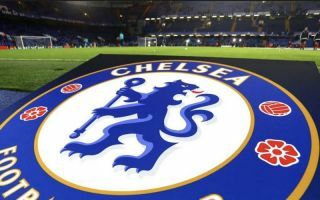 Chelsea paid £58 million for the Spaniard in 2017 – as per The Telegraph – and the club would seemingly like to make some kind of profit on their investment as a fee is negotiated between the two clubs. If Morata does indeed leave Stamford Bridge in the next few weeks, new manager Maurizio Sarri will have only Olivier Giroud and Michy Batshuayi to lead the line next season, which could force the club to act on speculation over a move for Juventus forward Gonzalo Higuain – which was reported by The Express. In order to compete on various fronts, Chelsea will arguably need more firepower than that duo can provide, and so it remains to be seen if they’re forced to replace Morata or not.